Fold the scarf in half on the diagonal, then roll a 2″ band from the fold edge 2-3 times. Drape the pointed edge across your chest, with the point at center front. Bring the tails over your shoulders to the back, cross them behind your neck and bring them to the front again. Secure the ends in a square knot at center front. You can leave the knot exposed, as shown, or tuck it under the the drape and out of sight. Start with the same diagonal fold and roll. Drape the scarf around your shoulders with the point at center back. Bring one tail through a scarf ring (or a regular ring – but not your precious diamond) from left-to-right. Bring the free end through the ring in the opposite direction. Re-position the scarf so the point is at or near one shoulder and the tails at the opposite shoulder. Secure with a tiny safety pin from underneath if necessary. From the wrong side, pick up the scarf and the midpoint and allow it to drape downward. 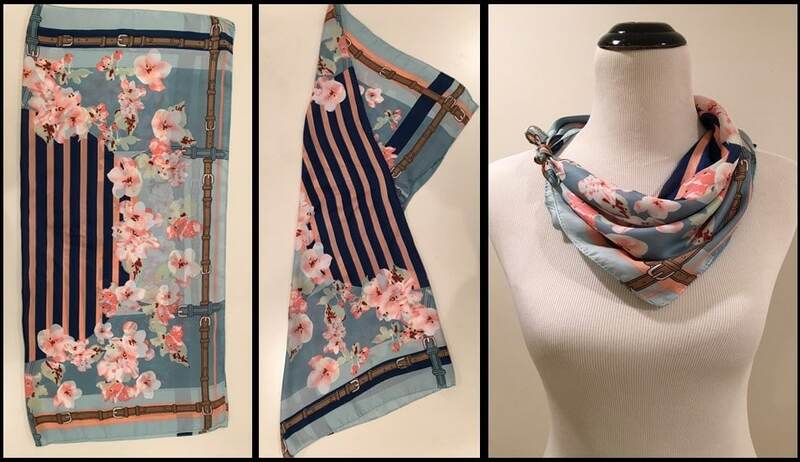 Turn the scarf to the right side, concealing the knot underneath and showcasing the draped effect it created. Pick up two opposite corners, position the drape at center front and secure the free ends in a square knot at the back of the neck. This seems backwards, but if the scarf is to fluffy under your chin, reach between the layers and push the rubber band further down from the original midpoint to control the excess fullness. 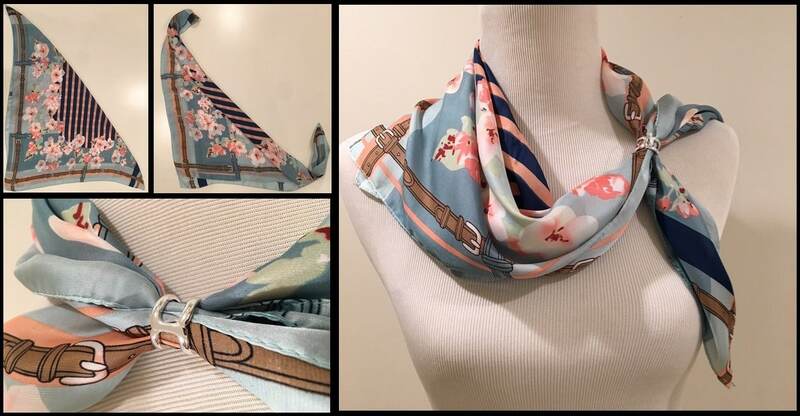 Fold the scarf in half crosswise, transforming the original square shape into a rectangle. Create a second fold between two diagonally opposite corners, forming a “W” shape as shown. 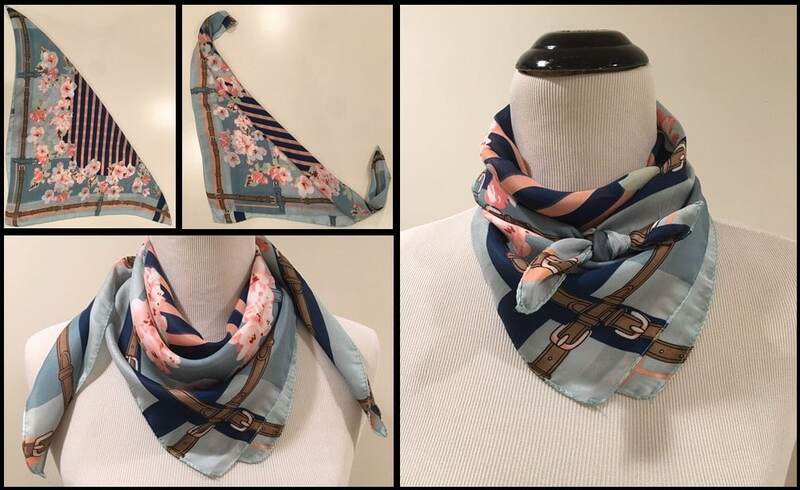 Pick up the two corners that define the new fold, drape the scarf around your neck with the bordered section in ffont and secure the corners in a small square knot at the shoulder.